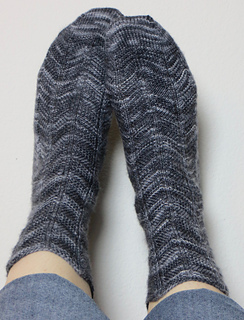 Based on the herringbone stitch pattern from my Clupea Shawl, these socks work up really quickly and look great in a variety of yarns (especially self-striping and those crazy variegated ones we all love and don’t know what to do with!). 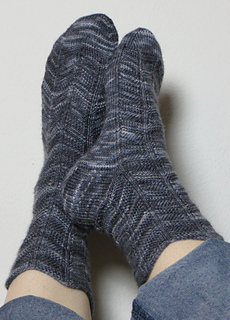 You can alter the number of repeats of the bands in different ways to change the look of the socks - or even do a Fibonacci sequence with them! 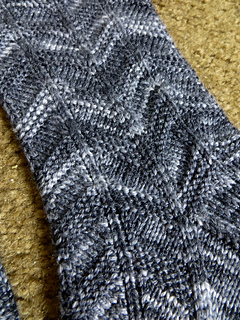 The pattern is designed to be worked top-down but could easily be converted to toe-up. Instructions are written, and include three sizes. 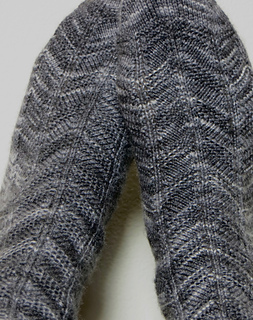 The nature of the stitch pattern is such that it produces a tight fabric, so keep this in mind when choosing a size.